In this Parmigiana, the pumpkin accompanied by the bread crumbs of aromatic sage bread, is a valid alternative to the eggplants, try it! A first course with autumn flavors and colors. Peel the pumpkin, remove the seeds and cut into slices. Turn on the contact grill to 356°F. Grill the slices of pumpkin, from both sides, season with salt and set aside. Chop the bread in a food processor with the sage leaves, olive oil, a pinch of salt and freshly ground pepper. 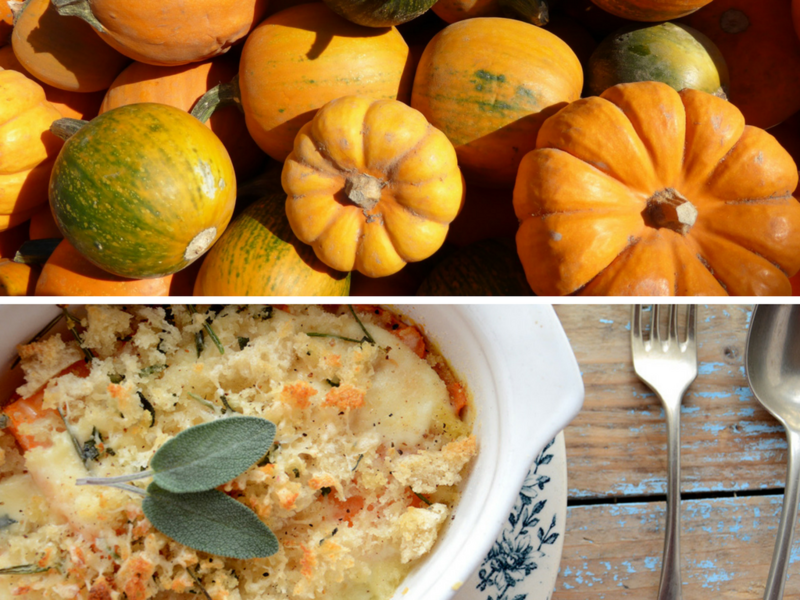 Grease a baking sheet and create the Parmigiana alternating slices of pumpkin, sliced Mozzarella ​and aromatic bread. Repeat two more times. Bake at 356°F and bake for 15 minutes.